X Pods by Kamry are compatible with the X Pod Mod, a draw activated refillable pod mod with a powerful battery. Each X pod has a resistance of 1.4ohm for smooth MTL hits and can hold up to 2ml of nic salt juice. Kamry X pods are designed to prevent leaking or condensation, so refilling your X is cleaner and easier than ever. Kamry X Pods come in a pack of 2. How long do Kamry X Pods Last? When primed properly X Pods last 1-2 weeks with average use. 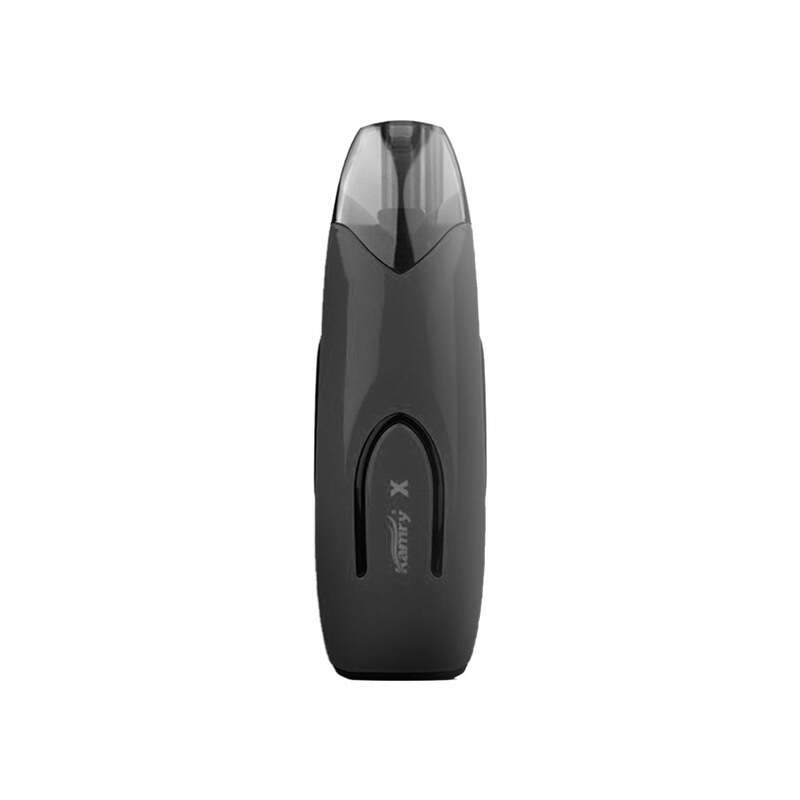 X by Kamry is a stylish refillable pod mod powered by a dynamic 650mAh built-in battery. The 1.4ohm resistance and organic cotton coils in the X Pods create smooth MTL hits while still producing an impressive amount of vapor. The arc-shaped body provides a comfortable grip and the draw activation adds an extra level of ease to your vaping experience. The Kamry X Pods can hold up to 2ml of your favorite nic salt juice and have coils made with organic cotton. When properly primed and with average usage X pods typically last 1-2 weeks. The warranty period on this product is 30 days from date of purchase. Simple and easy to use . User friendly with accessible and easy to refill pods. Availability is prominent and easy to reorder.